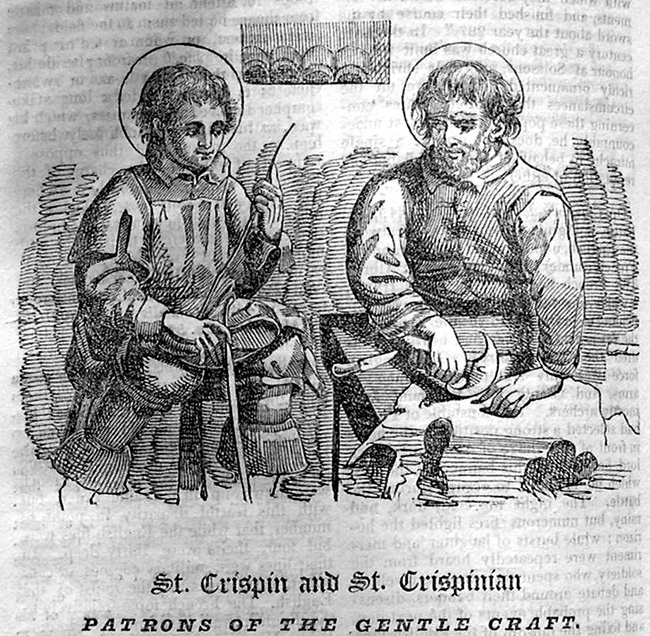 You knew it was St Crispin’s Day right? Patron saint of shoemakers? Well, the English equivalent is St Hugh, but it doesn’t have quite the same ring to it. The day is being celebrated by Carreducker, or more specifically Deborah Carre, making shoes in the Vigo Street window of Gieves & Hawkes. It’s a wonderful sight – all those slack-jawed yokels streaming past to Abercrombie (and there’s going to be another on the other side of the Row!) gazing in astonishment at this person actually making stuff. Plus Deborah has a top hat on, which helps. James will be there tomorrow (though without the top hat). Well worth a look and a wave hello. You can follow the discussion on Happy St Crispin’s Day by entering your email address in the box below. You will then receive an email every time a new comment is added. These will also contain a link to a page where you can stop the alerts, and remove all of your related data from the site. Thank you for posting about we craftmen. It just shows you don’t need to be buff, shirtless and 20 to attract a crowd! I’ll stick to the top hat thanks!